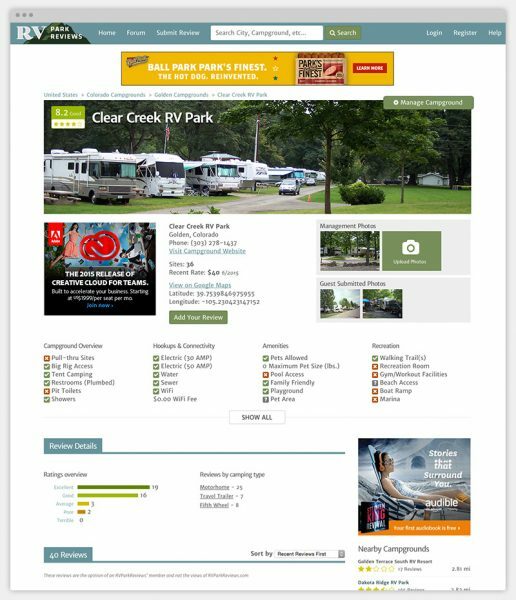 RV Park Reviews is the largest collection of reviews of campgrounds and RV parks, reviewed by the members who love to camp. 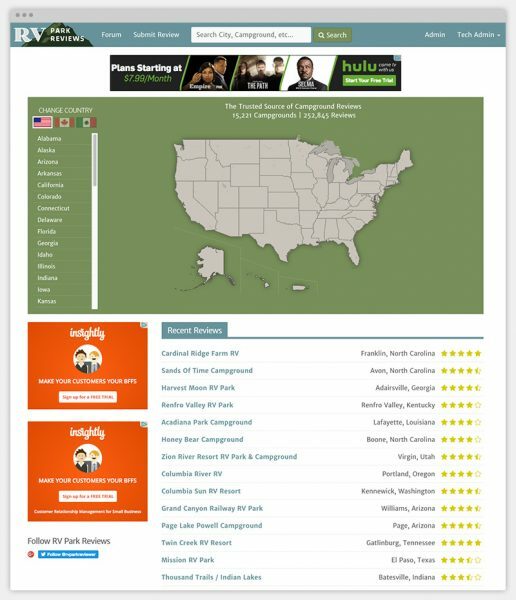 RV Park Reviews has seen over 15 years and 200,000 reviews of campgrounds. 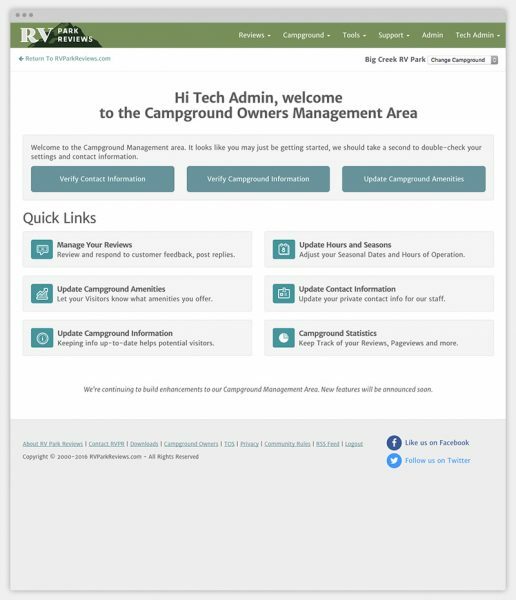 This is an invaluable resource for campers and travelers. We helped with the branding and interface design of the project, by building a very simple interface. Many users of the website are seniors and retirees and updates were made to keep them from becoming too frustrated with large over-the-top designs. Another challenge was potentially slow internet connections, so images were used sparingly and speed was very important. 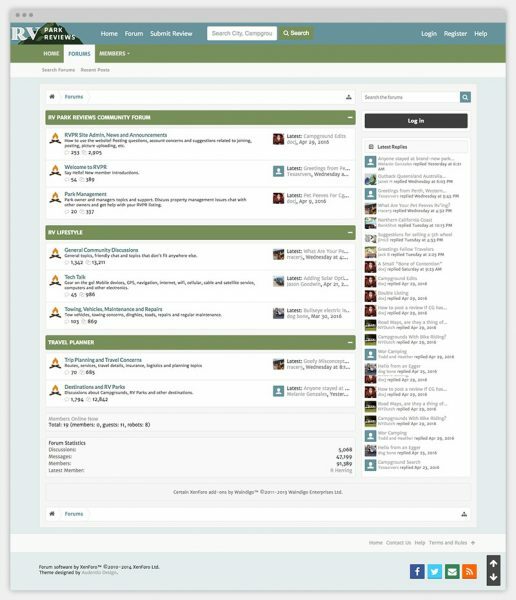 Moving to a more future-friendly and extensible development platform allowed us to also update the sites interface. Building an expandable system with reusable components makes the interface useful and familiar for the users.